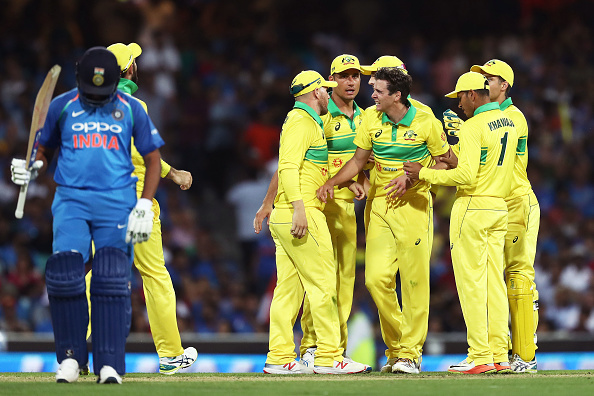 Rohit Sharma's 133 went in vain, as Richardson's 4/26 gave Australia 1-0 lead in the series. 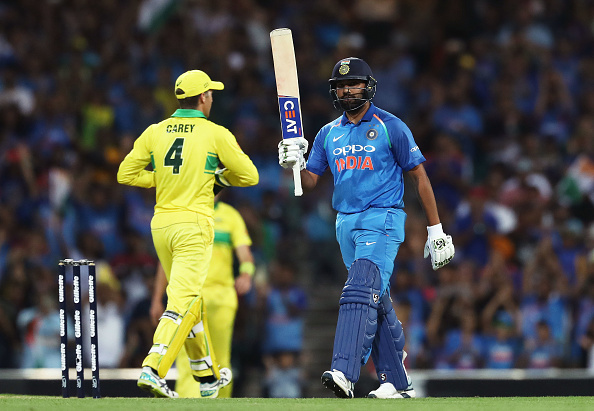 After the high of the first ever Test-series win in Australia, Team India was quickly grounded by the hosts, as they were handed a 34-run defeat at the hands of Australia in the first ODI of the 3-match series at the SCG. 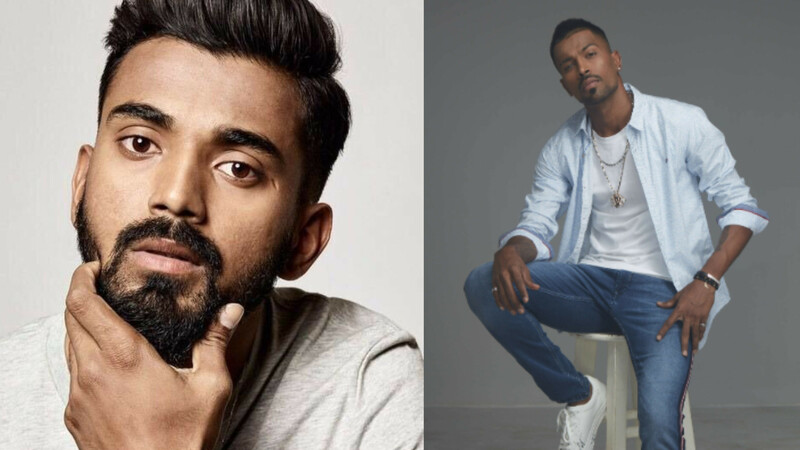 Batting first, Australia put on 288/5 in 50 overs with Peter Handscomb top scoring with 73 and Khawaja and Shaun Marsh making 50s and Stoinis giving the big push to the Australian total. Kuldeep Yadav and Bhuvneshwar Kumar picked two wickets each. 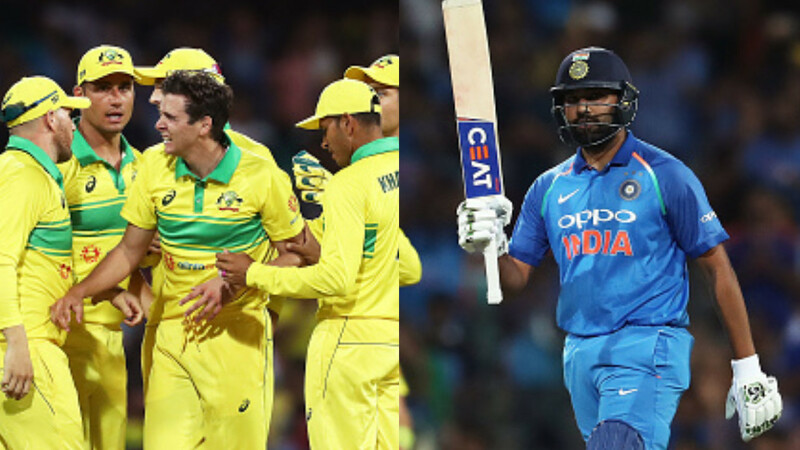 Indian chase was derailed in the first five overs as Jhye Richardson removed Virat Kohli and Ambati Rayudu in the same over and with debutant Jason Behrendorff removing Dhawan for a golden duck, India was 4/3 in the blink of an eye. 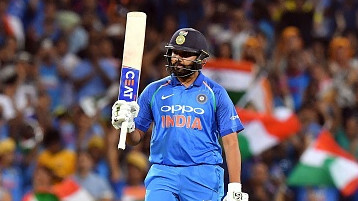 Rohit Sharma scored 133, his 22nd century in ODIs and with MS Dhoni (51 in 96) slowly rebuild the innings, but when both of them were dismissed, India ended up on 254/9 in 50 overs. India’s middle overs were spent rebuilding which saw MS Dhoni scoring just 6 runs in 30 odd balls at one time. His wicket after such a partnership too put undue pressure on Rohit to shoulder the chase.